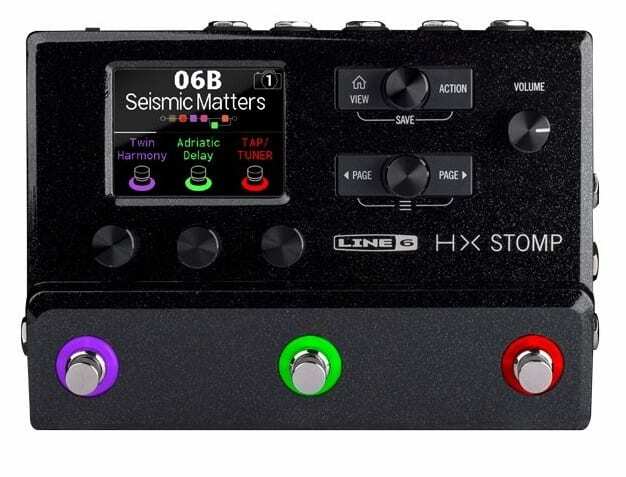 Line 6 has just announced a new modelling multi-effect called HX Stomp. 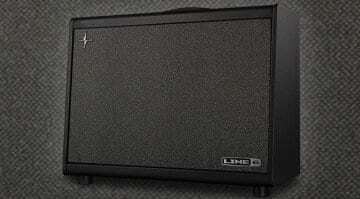 It uses the same engine as its larger siblings, the Helix and Helix LT, even down to the 300 effects and amp models. 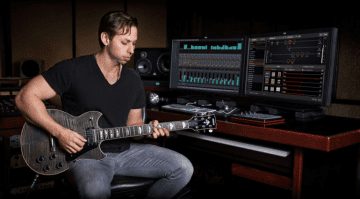 Will this new mini modeller open up the world to virtual guitar rigs for all? 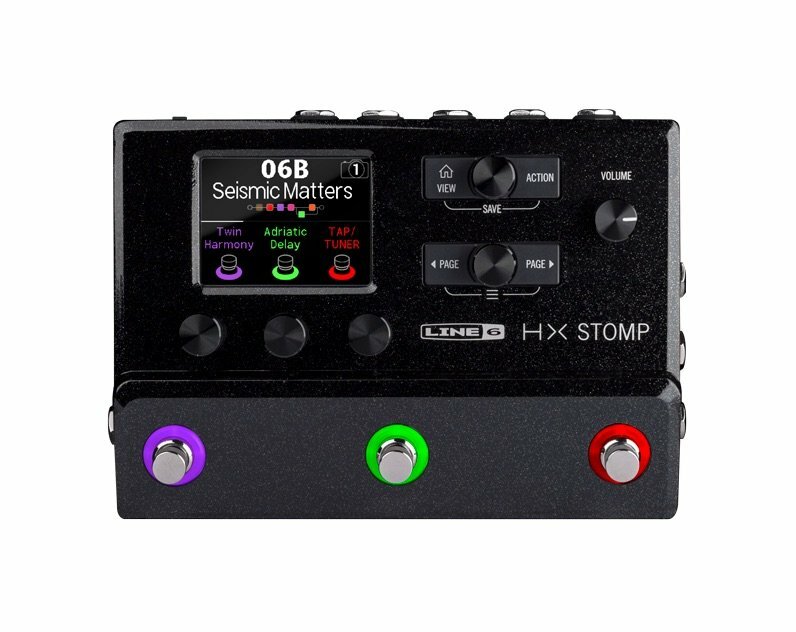 First of all, the processing in the HX Stomp is the same as in the Line 6 Helix. 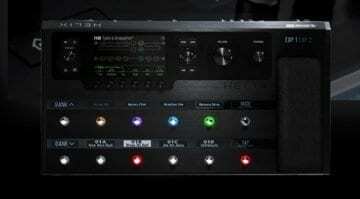 That means it sounds the same and brings over 300 effects and models of amps, boxes and microphones. The display has shrunk down to 320x240px. Unfortunately, though, it cannot be operated by touch. The inputs and outputs are limited to 2 each. You can only occupy one expression pedal input with two pedals. The effect loop is now on the side, sending as a stereo jack and receiving dual mono. On the other side are MIDI In and Out / Thru as 5-pin DIN jacks as well as the headphone jack. The most obvious change, however, is the size and controls: three footswitches, three push controls under the display, two next to the controller – and a master volume that has shrunk drastically. 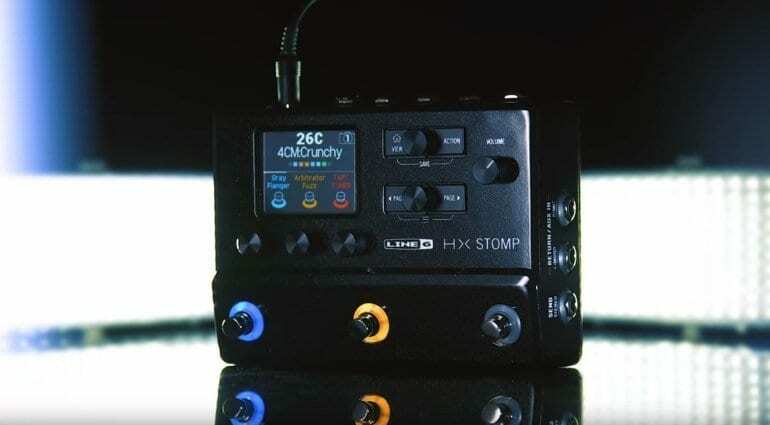 There are a few limitations, with fewer footswitches than a Helix or Helix LT. I personally like switching individual effects on and off, rather than whole chains at once. 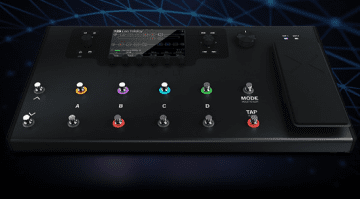 With pricing at almost half the cost of a Line 6 Helix, though, this new mini modeller still has all the power and sounds despite its limitations. If you’re in the market for this kind of multi-effect modeller, you’d be silly not to have a closer look, especially if you want to travel light with your guitar rig. 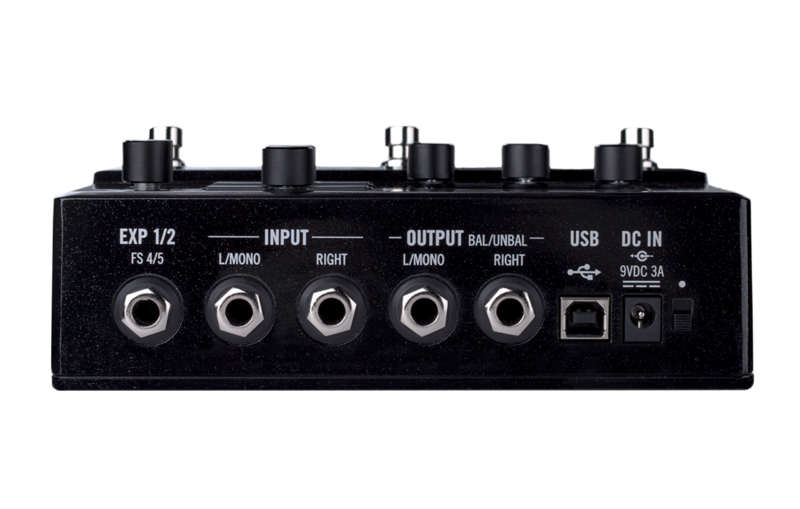 It can also be used as an audio interface, making this a versatile unit with lots to offer for those on a limited budget.